Chapel Hill, NC – Nearly five million people need blood transfusions each year, and one blood donation can help save up to three lives. UNC will host its annual Carolina Blood Drive 7 a.m. – 6 p.m. June 2 at the Dean E. Smith Center with a goal of collecting 900 pints of blood. Campus and community members are invited to attend and help support the American Red Cross in its lifesaving mission. To thank presenting donors for their participation, various prizes, such as tickets to athletic events, autographed memorabilia and gift certificates, will be given away throughout the day. Presenting donors will receive a Carolina Blood Drive T-shirt courtesy of the American Red Cross. Presenting double red cell donors also will receive an American Red Cross travel mug. Refreshments provided by local businesses will also be available to participants. Now in its 27th year, the Carolina Blood Drive has collected 23,580 pints of blood helping to save up to 70,670 lives. Last year’s drive collected 990 units of blood. This year the Carolina Blood Drive is hoping to surpass this goal in order to help save lives and promote healing in hospitals across the Carolinas Region of the American Red Cross. 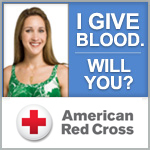 For details and to register to donate blood, or volunteer at the drive, visit unc.edu/blood or call 1-800-RED-CROSS. To find out whether you are eligible to donate, visit blooddrive.web.unc.edu/donor. This entry was posted in Summer Blood Drive on May 20, 2015 by Lynn Eades.